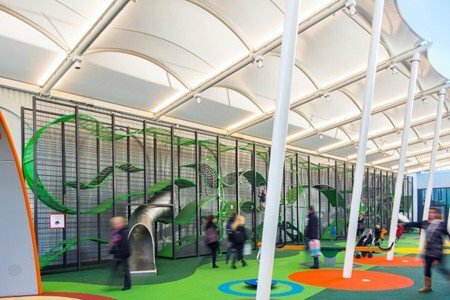 Queens Park Community School is a large mixed academy with over 1200 students. 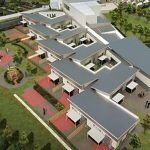 The school is committed to high standards and invests heavily in maintaining good levels of teaching, learning and the school environment. 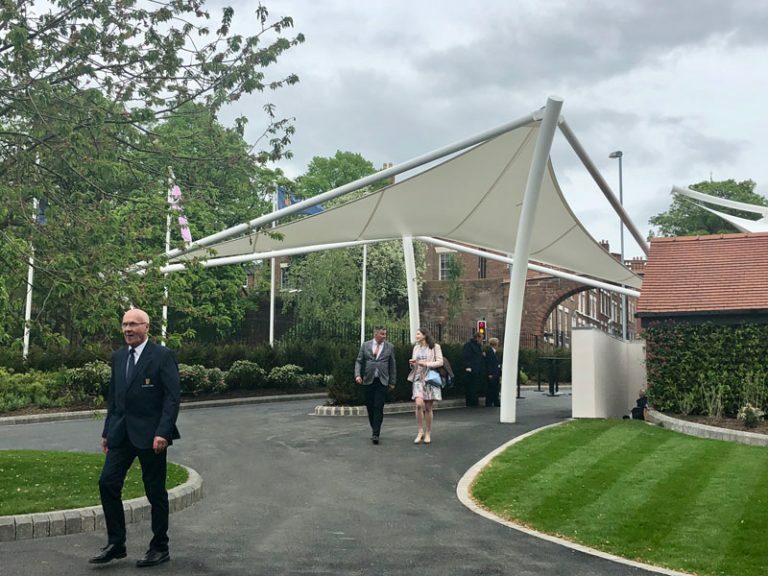 Amongst the latest rounds of improvements to the school grounds, tensile structures were installed by Fabric Architecture to provide additional shelter and outside learning space for pupils. 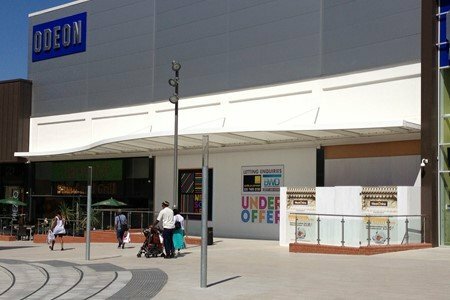 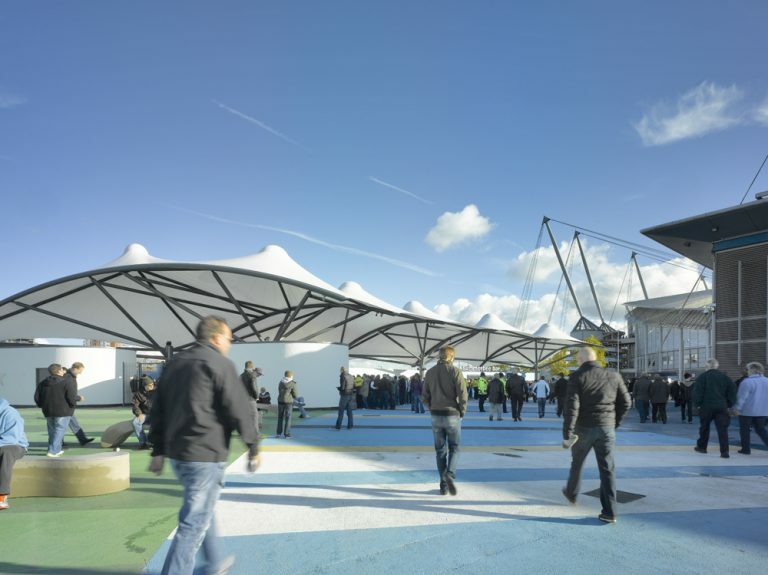 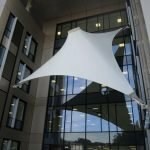 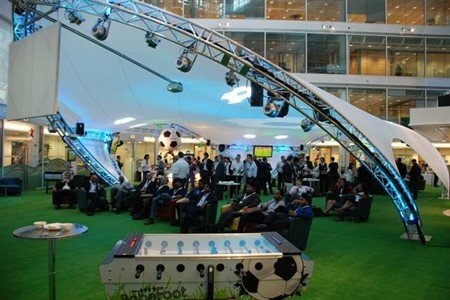 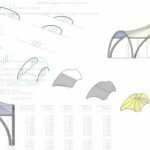 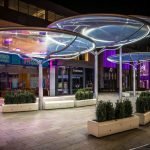 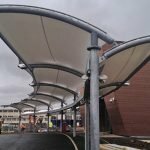 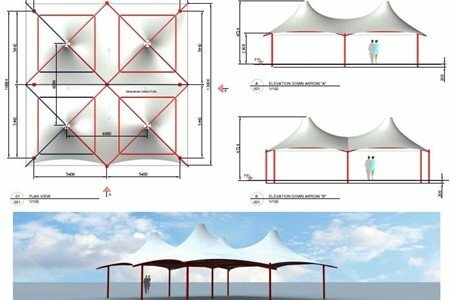 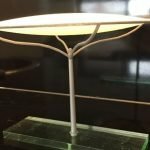 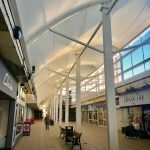 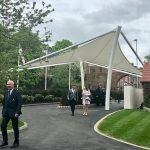 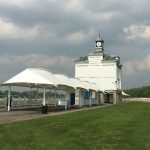 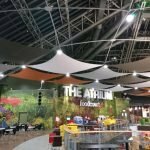 The form of the canopy is an adaptation of FabArc’s Signature Structure ‘Halo’ design, linking 4 canopies together to create a 12m x 12m structure, with just 1 integral column, providing around140m2 of shade and shelter. 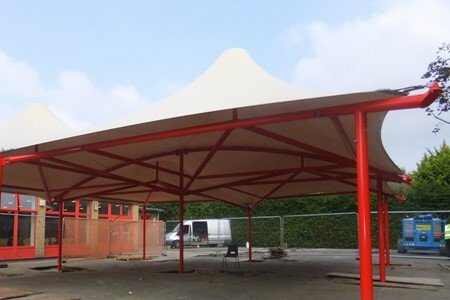 The structure’s steel work is powder-coated in bright red, the school’s brand colour, to tie in with other steel on site including the framework of some newly installed bicycle racks. 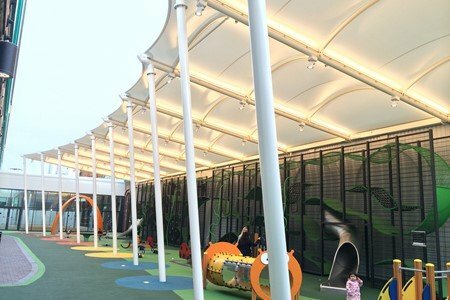 A complimentary cream PVC fabric was chosen for it’s durability and long life-expectancy.